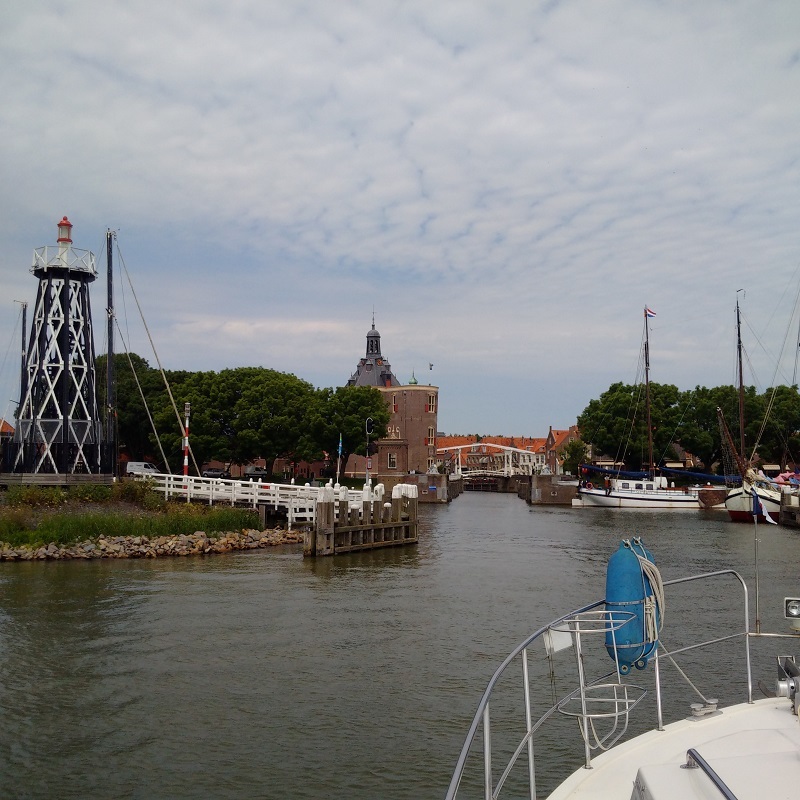 A very enjoyable, calm and steady cruise out of Hoorn, east along the Markermeer coast and then north to Enkhuisen where we locked through the Krabbersgat and then cruised into the Buitenhaven. for a berth. 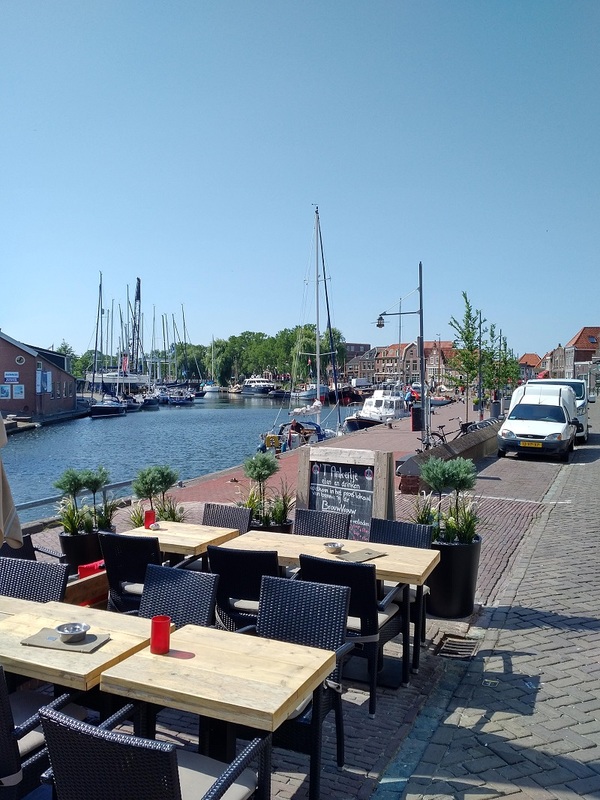 We had been thinking of getting the Dromedaris bridge raised and mooring on the Olde Haven but there was a nice grassy bank on the south side of the Buienhaven and that looked cooler and more inviting for Max. 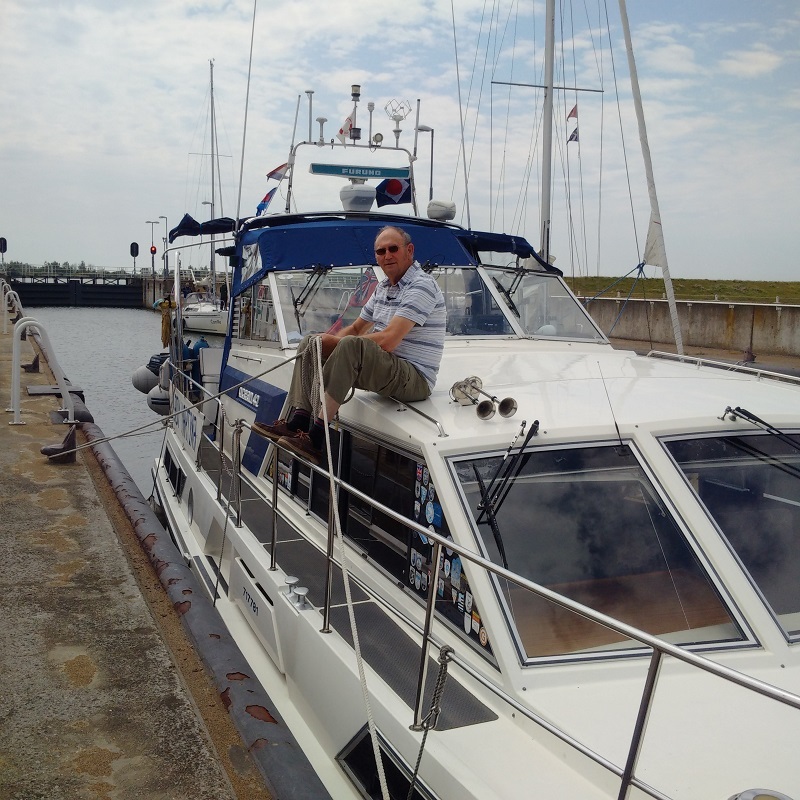 I took him ashore for a walk, optimised our mooring and then walked to the harbour office opposite where we registered and got the information we needed to take full advantage of the place. The system is now that you get a SEP card (rather than the SEP key) and that the relatively modest electric and water charges are debited from an initial allowance of €5. It is normal to use the automatic machine for paying mooring fees, but I preferred to visit the harbour master's office and take further advice and they were very helpful. We paid for two nights and then took a look around the place. The railway station had free parking for our car and the nearby VVV office had plenty of information but English was a bit scarce amongst it. The market day is tomorrow, Wednesday, dogs are unfortunately not allowed in the open-air museum but can be taken on to the steam train excursion. and we also bought a sticker of Enkhuizen and the local courtesy flag as well!